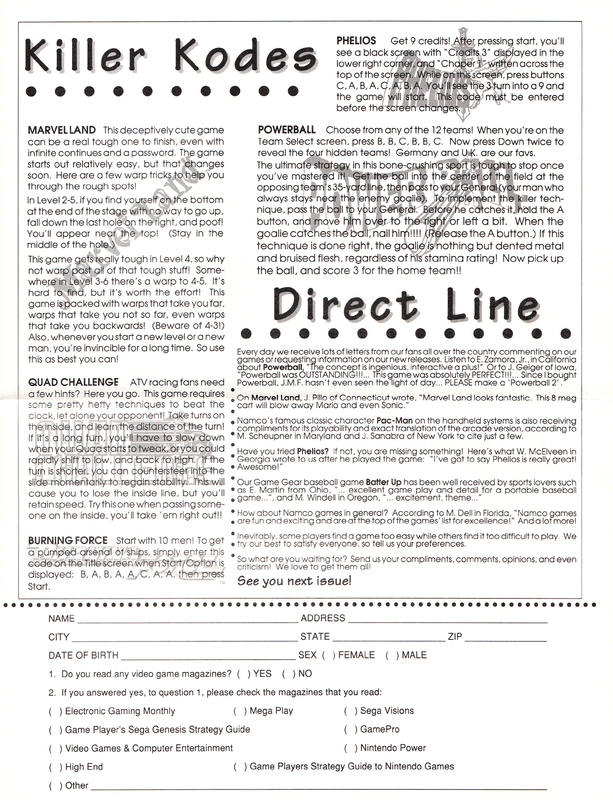 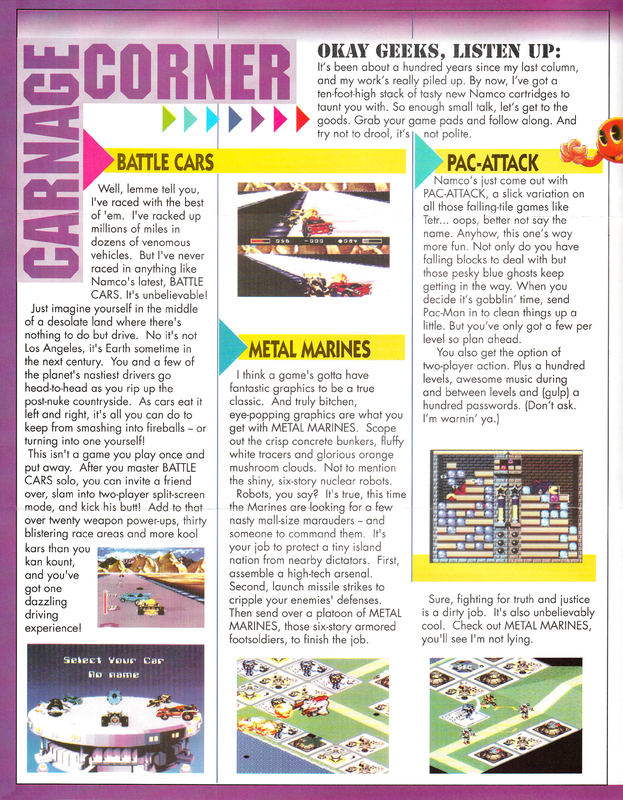 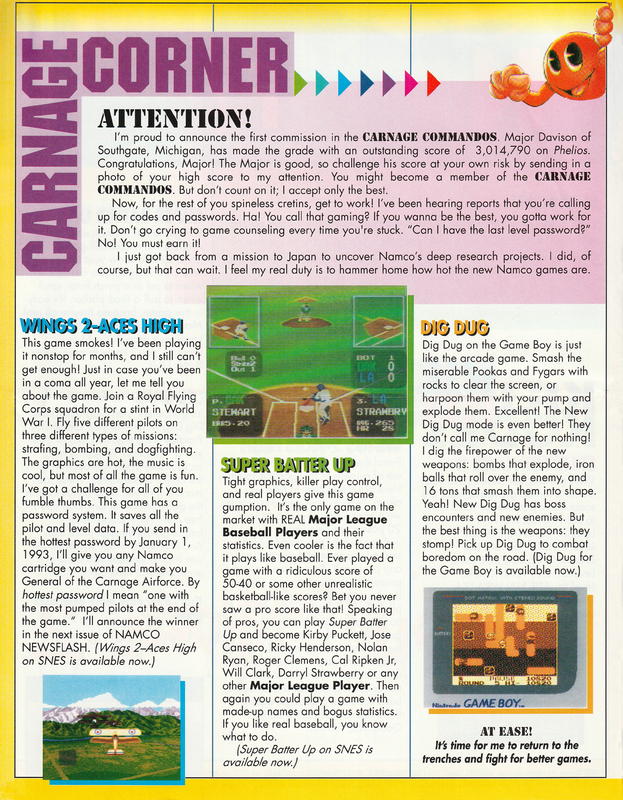 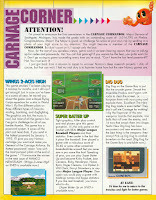 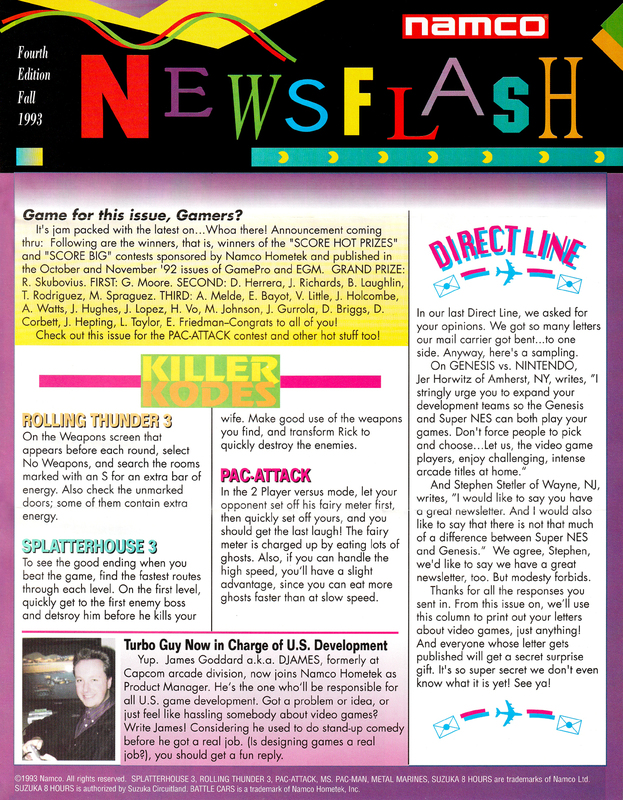 Many game publishers mailed out newsletters in the '90s to promote its products and I've got one or two for a bunch of them. 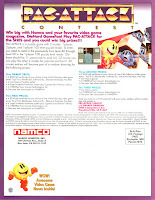 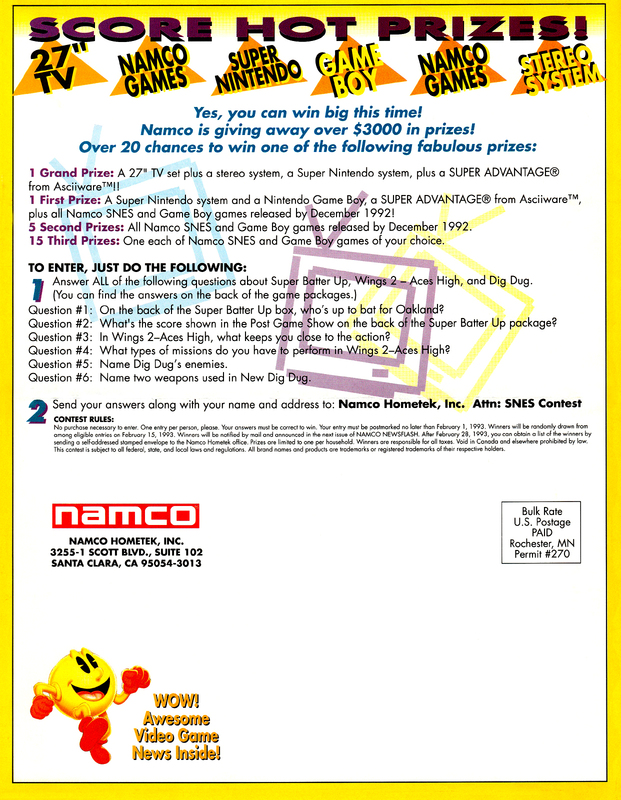 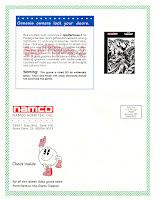 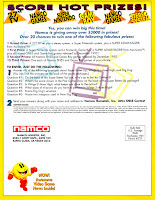 As the title implies, this post is about Namco for which I have four that it sent to its fans, likely to those who registered their games. 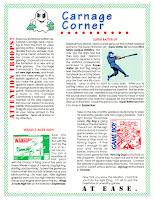 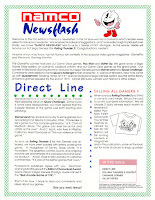 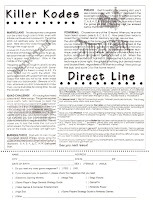 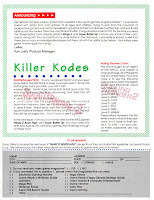 With each newsletter the quality increased; the original was on newspaper with no color while later issues used glossy paper. I'm not sure if these are the first four as there is a year gap between the last two but they are named third and fourth editions so maybe these were not sent out too often. 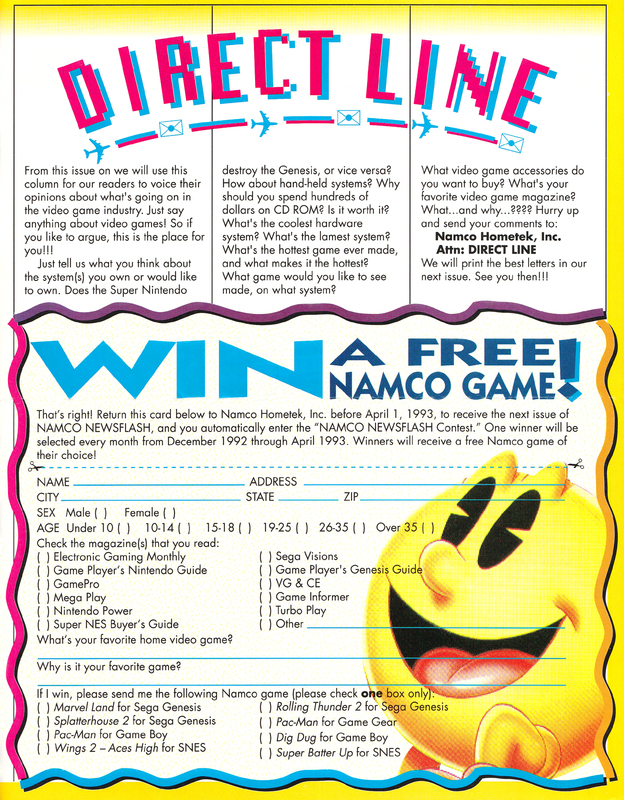 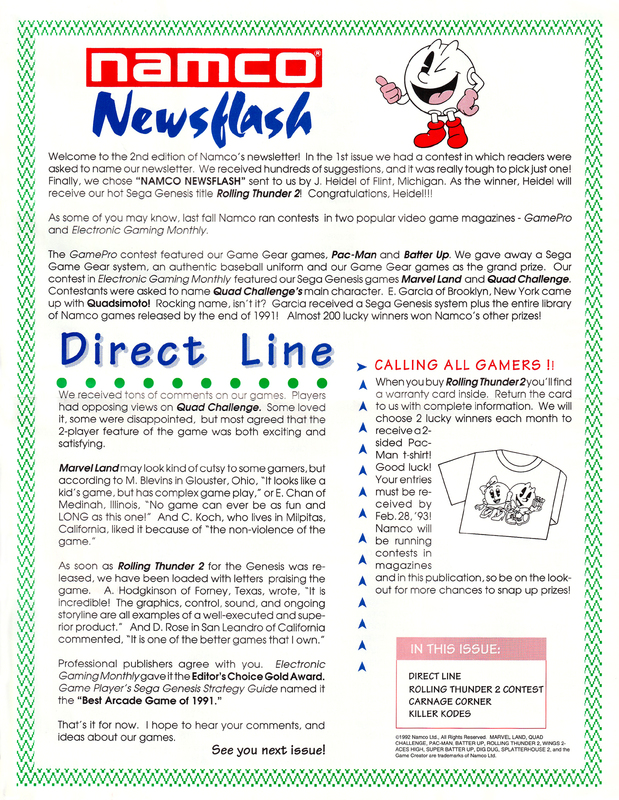 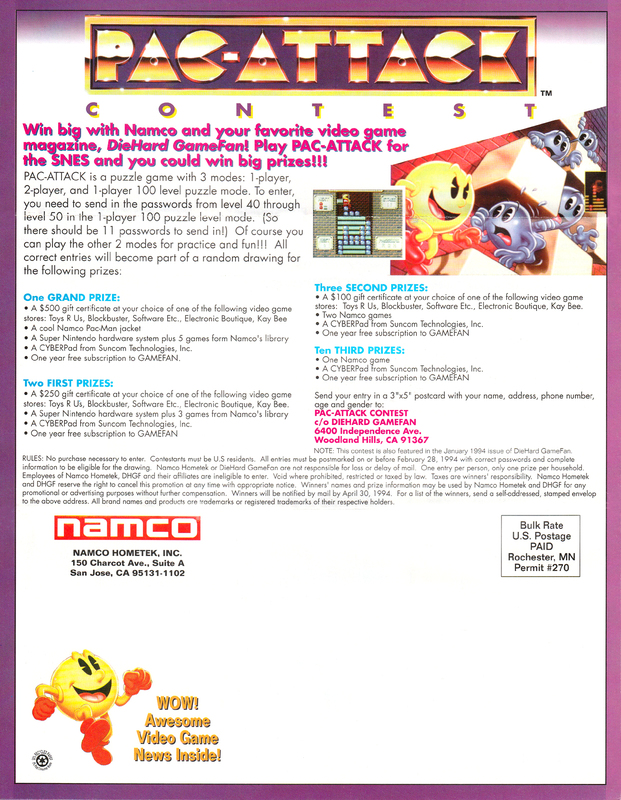 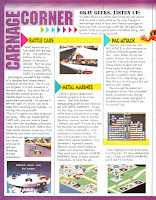 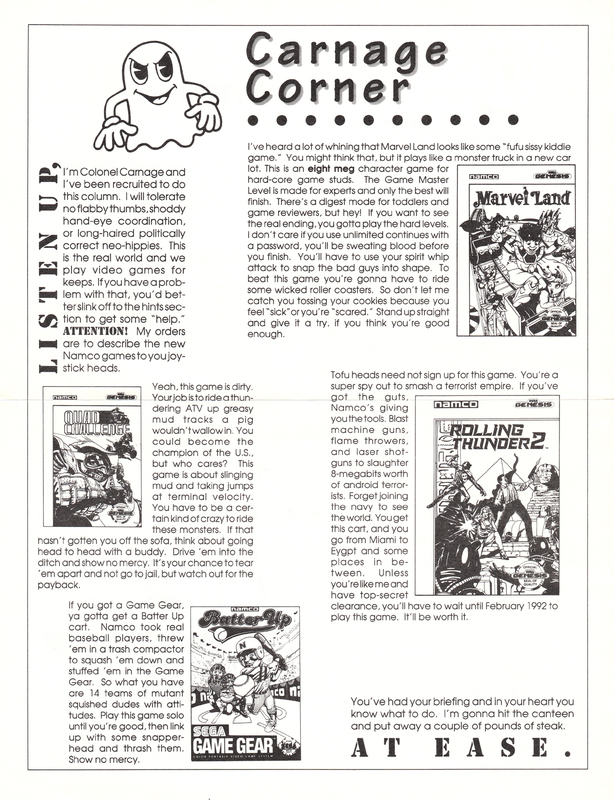 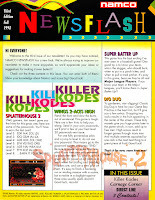 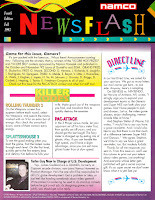 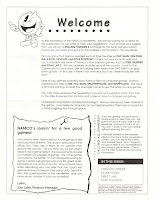 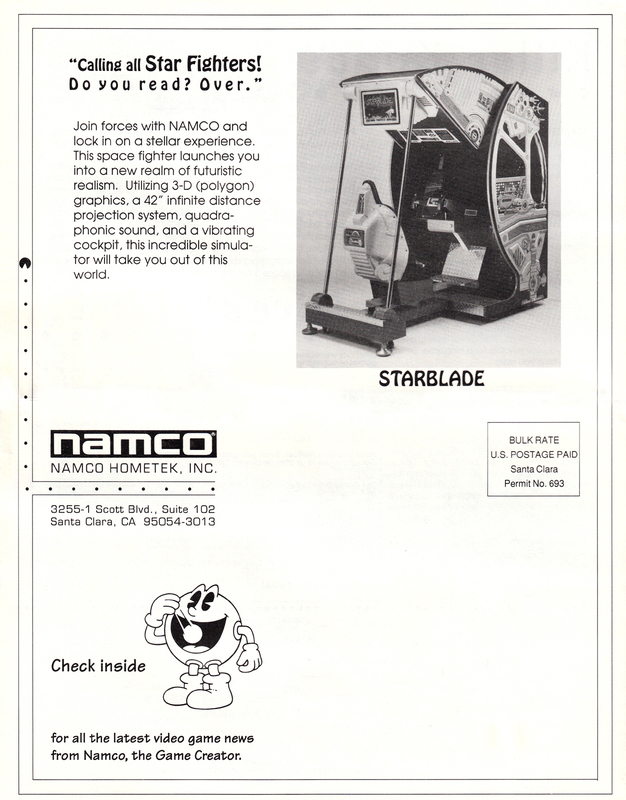 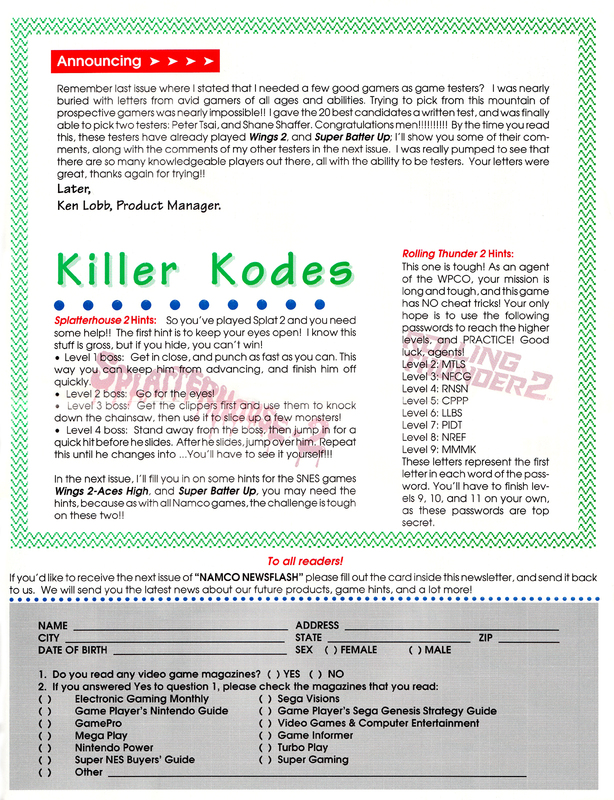 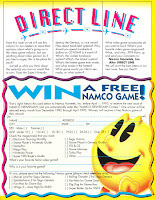 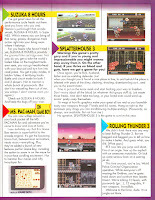 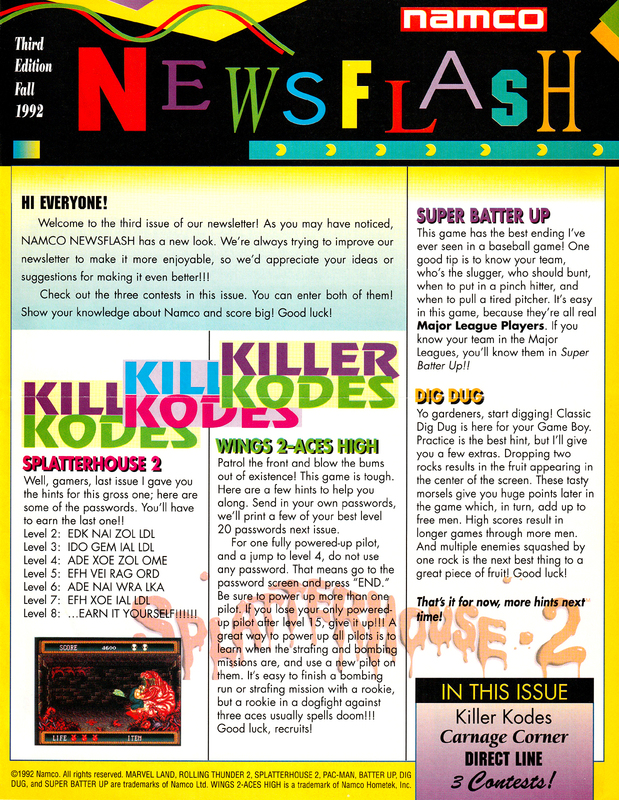 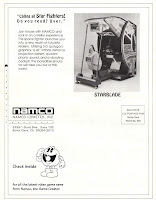 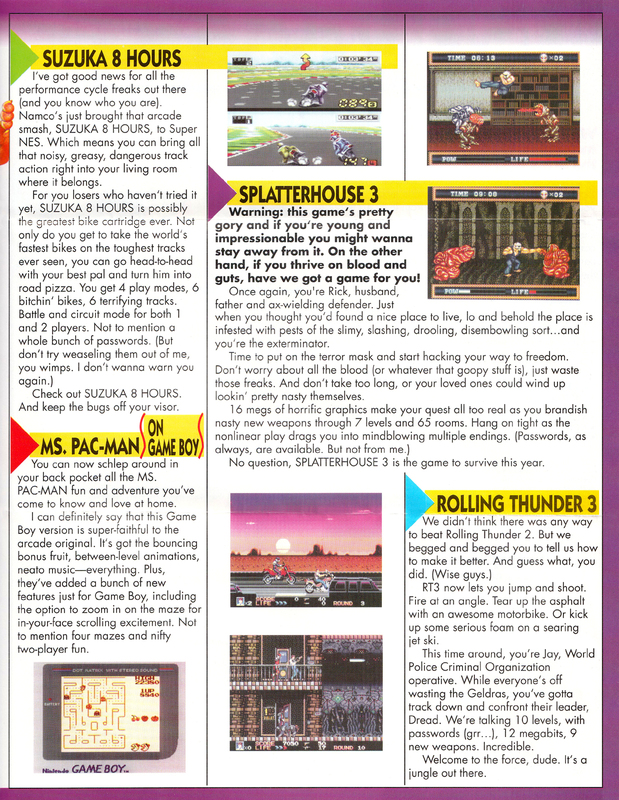 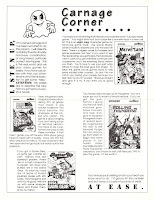 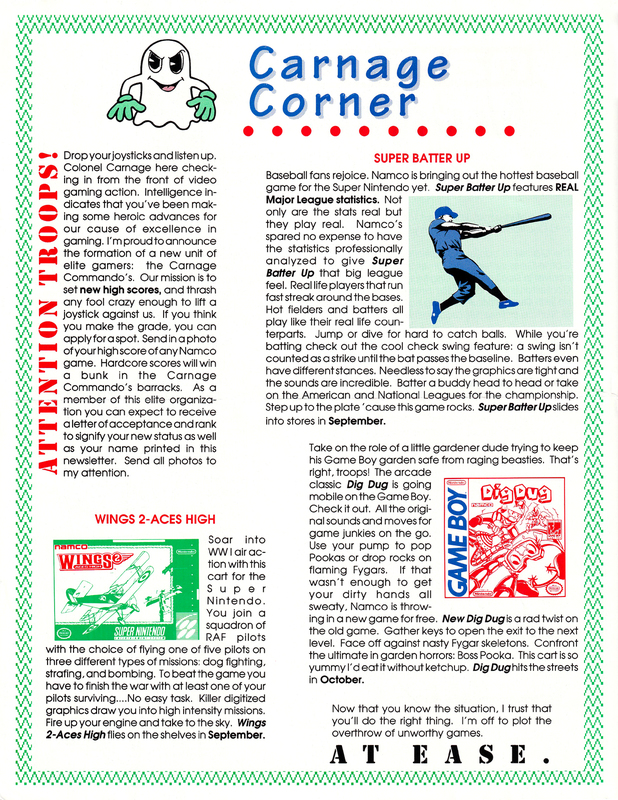 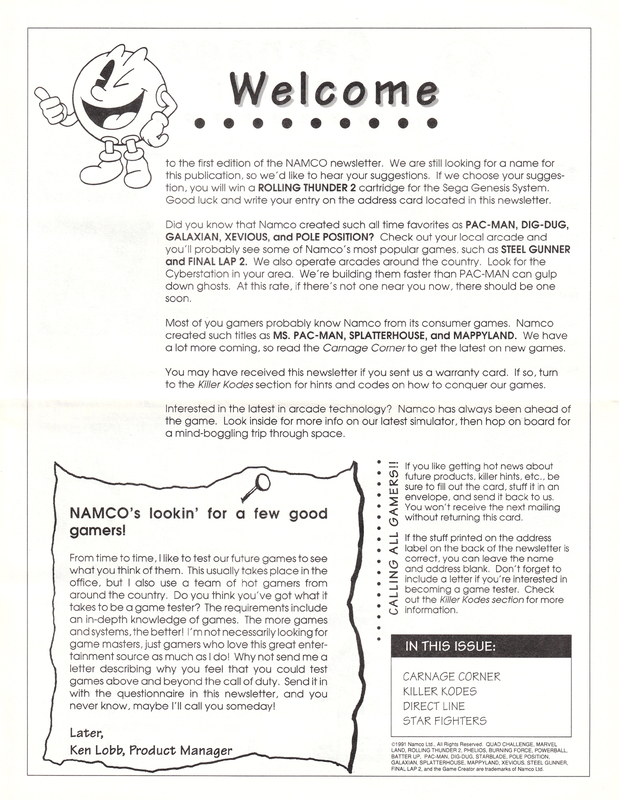 Also, a fan naming contest was held in that first issue which resulted in all future newsletters being titled Namco Newsflash.